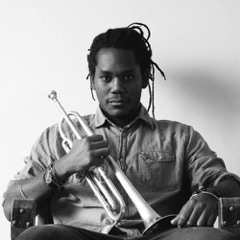 Yelfris Valdés is a Cuban artist, composer and trumpet player, who mixes the latest electronic techniques with the spiritual chants and mystic rhythms from the Orishas. He began to study classical music at the age of 8 and graduated with the highest honours from The College of Arts at the age of 25. He also worked as a professional musician since he was 16, having recorded, performed and toured with some of the iconic figures from his country, some of these names are: The legends from the world acclaimed project Buena Vista Social Club Omara Portuondo, Barbarito Torres, Guajiro Mirabal, Amadito Valdes. At the age of 20, he joined one of the foremost bands performing the Cuban son style, Sierra Maestra. Over the 10 years he remained with the band he mastered the art of Cuban improvisation, arranging and complex rhythms from the island, while they presented their music in more than 50 countries in those years. In 2010, they were nominated to the Grammy Awards for Best Tropical Album, in which Yelfris made some of the arrangements. 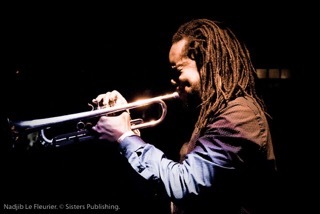 In 2014 he moved to London and positioned very quickly as one of the highly recommended trumpeters in the UK. “Yelfris Valdés is one of the brightest stars on London’s already vibrant jazz scene” Jane Cornwall Jazzwise. He has been recording and performing non stop with different projects such as: Carlos Acosta at Royal Opera House, Kano MC, Yussef Kamaal, Quantic music, Sugaray Rayford, OUM, Dayme Arocena, Giles Peterson, Ariwo, Ana Tijoux, Charlie Hunter, Afrocubism, Cubafrobeat, Moses Boyd, Yussef Dayes, Dele Sosimi and his Afrobeat Orchestra. In 2018 Yelfris released his first Ep called The World Of Eshu Dina which is a tribute to the Yoruba religion. The musical traditions of Yoruba are incorporated into his work. Yelfris’ Afro-Cuban roots connects him directly with Mother Earth and the Orisha Gods. “Grande Oshanla takes me to a place. Doesn’t settle into an ambiance or a groove but encapsulates a spirituality in both. Amazing vocal samples too” EC1 Studios.